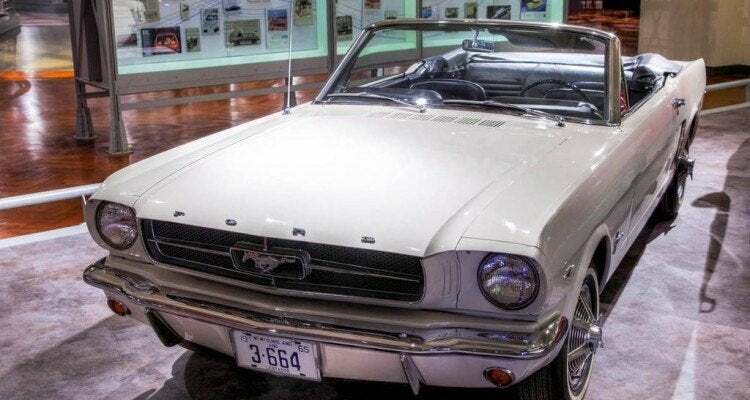 51 years ago this week, Ford Mustang made its debut at The World’s Fair in New York. Over the years, that running horse on the grille has captured our hearts, refining more gracefully with with age. Unlike some of its competitors, Mustang has never ceased production and a new model has greeted fans each year since 1964. Well 1964 and a half . . . 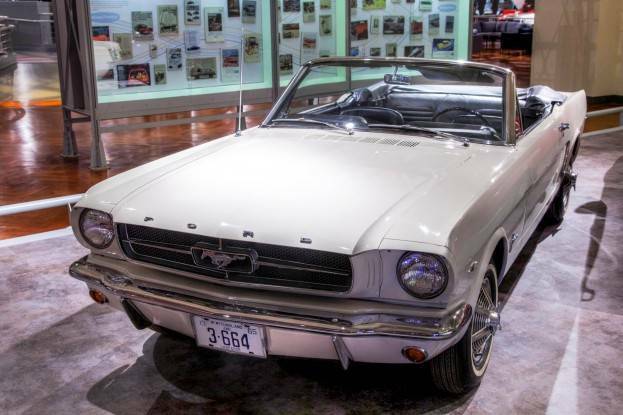 The first Mustang on display at The Henry Ford Museum in Dearborn, Michigan. It was sold to Stanley Tucker of St. John’s, Newfoundland, Canada on April 14, 1964 despite being a 1965 model year. 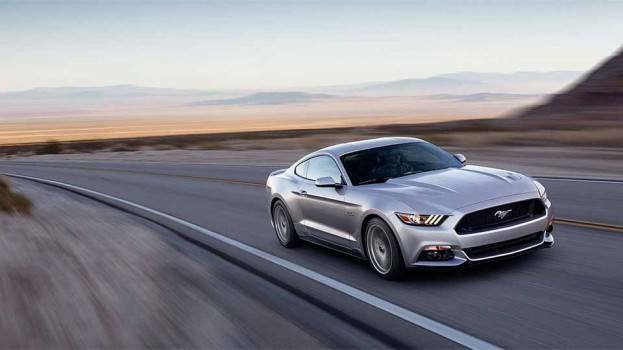 I started my career in the auto industry at Sioux Falls Ford and as a sales consultant, I delivered a few Mustangs. It was always enjoyable to sell because the person buying it was always an interesting character. Ray, for example, was entering retirement and wanted a Mustang for years. Ray said everything in a Morgan Freeman/Pat Morita type tone and at one point I asked him if he would narrate my life. We both had a good laugh . . .
Matt was another guy I sold a Ford Mustang to in 2009. He got a speeding ticket on the demo drive with me in the passenger seat. There isn’t much to say after getting a tongue lashing from a South Dakota State Trooper. So, naturally, when we returned to the lot, we sat in silence. You could cut the tension with a knife . . . I took a deep breathe, having no idea what I was going to do. “I have to say, Carl, this was not the day I expected and this is a sign,” Matt said. “Oh,” I said nervously, thinking there was no way I was ever going make the sale. “That I am meant to have this car,” he exclaimed, waving the speeding ticket in the air and smiling. Within the hour, Matt was doing paperwork on his new Ford Mustang and to this day, he still keeps the carbon copy of that speeding ticket in the glove box. Todd’s “flipping out” combined with my great salesmanship ensured he was driving home in a Mustang that afternoon. “Best mid life crisis yet,” Todd remarked, when I handed him the keys; his 5.0 all shined up on the show floor before us. “You’ve had more than one,” I asked. “Oh Carl, if you only knew my friend,” came his response. Interesting enough, later that year, I sold one of Todd’s friends a mid life crisis Ford Mustang. 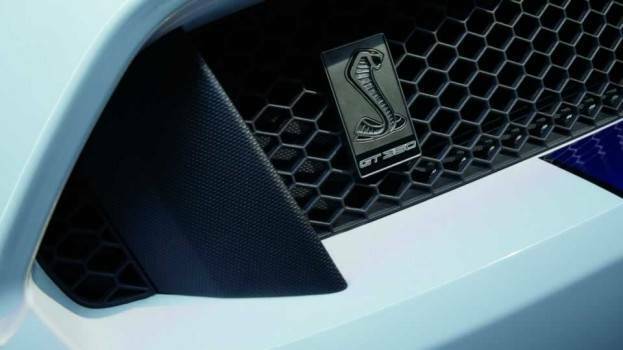 The Ford Mustang is special for so many people, on so many levels. It’s very individual in the sense no two owners of Mustangs have the same version of how the car fits into their life story. For some it is about the sense of getting away on the open road, top down, worries fading; that rush of undeniable freedom. For others it is about seeing a car they have admired all their lives and then having one of their own. And then the ones who display their prized Mustang in regional car shows. They have the awards on the fireplace mantle and in their study down the hall, the framed photo of them standing next to it when they were featured in the local paper. For me, it’s about the people I once sold them to. 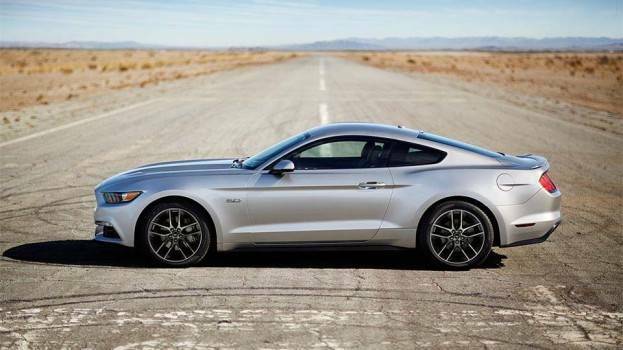 It’s about the fact Mustangs are built in Flat Rock, a small suburb in downriver Detroit. I know my home is part of Mustang’s legacy that and makes me proud. 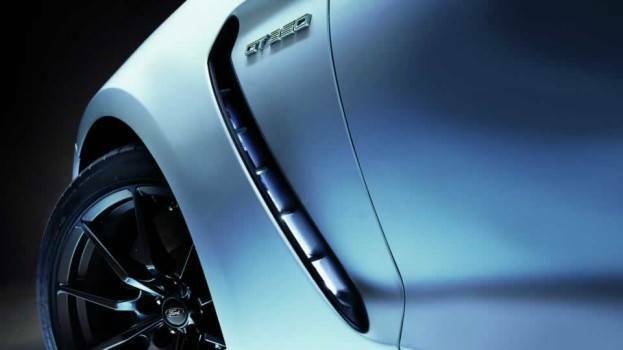 It’s recalling the time when I loved a girl who enjoyed the Ford Mustang as much as I did. We would talk about the car and what we would do if we ever one day owned one. When I see a Mustang go through Detroit, I think of her and the fond memories we once shared. Maybe you have always wanted one? Maybe it’s a midlife crisis? Or you have a dream with that special somebody? Or perhaps you just like to go really, really fast? The info-graphic below from Late Model Restoration will help with your decision – whatever your Ford Mustang, whatever your stage of life, whatever your story. 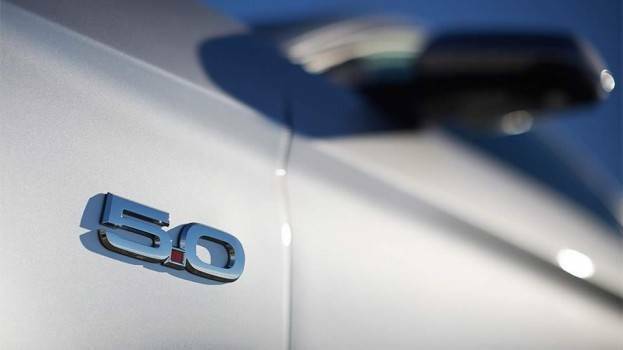 2 Comments on "Ford Mustang: 51 Candles, Infinite Memories"
Most interested in those ones with ecoboost – seems like the technology is getting better with each year. Great infographic here! one of my favorites ..